“Although we are not recommending an independent investigation in every case, we think that funding should be available for the families of those who have died unnaturally, violently or by suicide whilst detained, to receive non-means-tested legal aid. This would be to help families to understand the processes, their rights, and what steps they can take. This would include funding to attend the inquest, but should also be available to support families immediately after the death of the patient”. We have been acting on behalf of a family who’s daughter was diagnosed with postnatal depression by a GP in October 2012 following the birth of her first child. The condition flared up following the arrival of her second child in 2014. She also suffered from hyperemeris gravidarum (HG) – an extreme form of morning sickness brought to the fore by the Duchess of Cambridge who suffered from the condition while expecting Prince George and Princess Charlotte. Additionally, the family believe she may have had postpartum psychosis after her second baby was born in 2014. Our Client’s daughter died instantly on July 12, 2015 when she was hit by the Hull to Scarborough train near Spring Bank West after telling staff at Westlands, in Anlaby Road, west Hull, where she was a voluntary inpatient, she was going out to buy cigarettes. Her daughter pleaded with bosses at Humber NHS Foundation Trust – responsible for the region’s mental health services – to allow her to be admitted to a mother and baby unit in Leeds. Westlands was not the right place for her, in the family’s opinion. She asked to be admitted to the specialist mother and baby unit, but her request were turned down. Our Client’s daughter was allowed to leave the unit, unaccompanied, even though she was on 15 minute observations. Later, she stepped into the path of a passing train and was killed instantly by the impact. 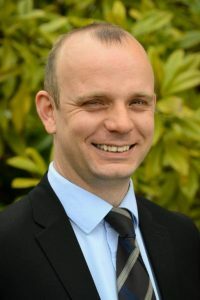 Our Client and the family was going through the Inquest process with the assistance of Wayne Walker, Solicitor here at Williamsons, who is experienced with both the Inquest procedure and medical negligence. Having attepted to obtain Legal Aid by way one of the “Exceptional Funding Criteria”, it was apparent that the family would not be given the funding to undertake the inquest therefore, Wayne agreed to assist with the inquest, and anything that follows, by way of a Conditional Fee Agreement (No Win No Fee). Wayne says “this case, as well as a number of cases before it, shows that improvements are needed for the provision of postnatal care, if future tragedies are to be prevented. Although assurances have been given by the Trust on many occasions, the family are not convinced that if another individual presented tomorrow, she would receive better care. It is very disappointing that the family have been left without the financial means to have a full investigation and that’s why I felt the need for something to be done”. At the inquest, the Coroner ruled that the case be an ‘Article 2 inquest’. Article 2 of the European Convention on Human Rights protects everyone’s right to life. This means that the Inquest will go further into the processes that were in place to protect a person’s right and to establish whether there are any failings. At the conclusion of the inquest, major failings were identified, even to the extend of criminal neglect was a plausible argument. The Trust admitted their failings and agreed that, had the appropriate treatment been undertaken, our Client’s daughter, and mother to two young children, would not have been allowed to take her own life. Wayne is now pursuing the case through the courts to obtain financial compensation to assist the family with taking care of the children who have been left without a mother. The case continues and is likely to resolve within 2019. Anyone needing support to cope with postnatal depression can contact the Association for Post Natal Illnesses. Click here for more information or call 0207 3860868.